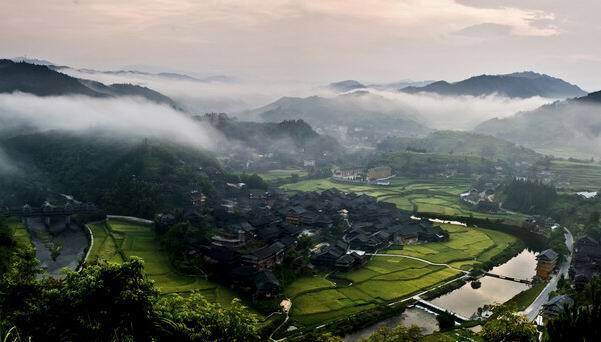 With the appealing natural scenery and colorful ethnic customs, the region of Dong nationality in Guangxi Zhuang Autonomous Region (guǎng xī zhuàng zú zì zhì qū 广西壮族自治区), the source of "grand songs" (dòng zú dà gē 侗族大歌), the peaceful town of miracles, this is the old Sanjiang Dong Autonomous County (sān jiāng dòng zú zì zhì xiàn 三江侗族自治县), prepared to show its pure beauty to the world. 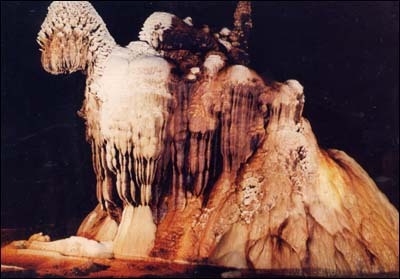 Liuyang Cave (liǔ yáng dòng 柳羊洞) is located in Bama Yao Autonomous County (bā mǎ yáo zú zì zhì xiàn 巴马瑶族自治县), Hechi City (hé chí shì 河池市) of Guangxi Zhuang Autonomous Region (guǎng xī zhuàng zú zì zhì qū 广西壮族自治区). It is about 1800 meters long. The average height of the cave is more than 50 meters, with the width of about 40 meters. In the cave, there are running waters and fresh air. Li River (lí jiāng 漓江) is located in eastern Guangxi Zhuang Autonomous Region (guǎng xī zhuàng zú zì zhì qū 广西壮族自治区).The river originates from the Yuecheng Mountain Range (yuè chéng lǐng 越城岭) in northern Guangxi and flows through Guilin (guì lín 桂林), Yangshuo (yáng shuò 阳朔) and Pingle (píng lè 平乐), down into the Xijiang River (xī jiāng 西江), the western tributary of the Pearl River (zhū jiāng 珠江). 437 of Li River’s course is flanked by green hills. The Li River Scenic Area is the largest and most beautiful karst site in the world, like a bright pearl shinning among all the landscapes in China. Sanniang Bay (sān niáng wān 三娘湾) is located on the seaside in Xiniujiao Town (xī niú jiǎo zhèn 犀牛脚镇) of Guangxi Zhuang Autonomous Region (guǎng xī zhuàng zú zì zhì qū 广西壮族自治区). 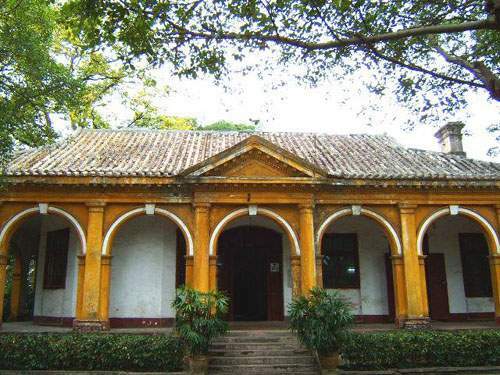 It is about 38 kilometers away from the urban area of Qinzhou City (qīn zhōu shì 钦州市). On the back of the bay, there is the Wulei Mountain (wū léi shān 乌雷山). The white beach is hidden in the thick woods of mangrove. It is an ideal place for sightseeing, fishing and appreciating the cultural relics. White Crane Mountain (bái hè shān白鹤山), also called Feihe Hummock (fēi hè gǎng 飞鹤岗), is located at the confluence of the Xun River (xún jiāng 浔江) and Gui River (guì jiāng 桂江). From ancient times to the present, the mountain is a famous attractions in Wuzhou City (wú zhōu shì 梧州市) in Guangxi Zhuang Autonomous Region (guǎng xī zhuàng zú zì zhì qū 广西壮族自治区). In the morning, the White Crane Mountain is like a fairy in the mist. While in the afternoon, the inverted image of the mountain on the Gui River is like a beauty dressing and making up.